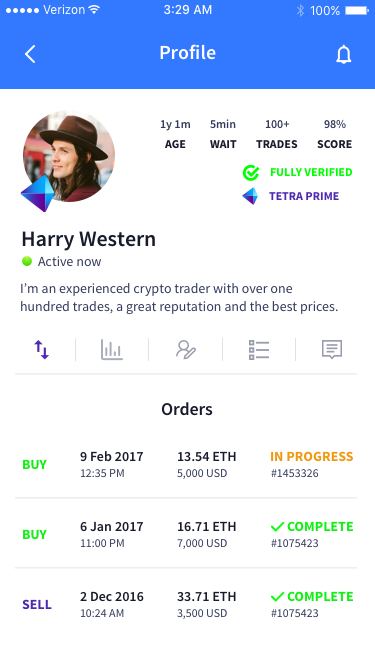 Tetra - Buy and sell Bitcoin, Ethereum and more. Secure, fast, easy. Paving the way to mainstream adoption. We aim to put a coin in the wallet of every person on the globe. 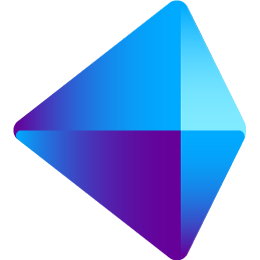 Meet Tetra, a peer-to-peer cryptocurrency exchange that facilitates the trade of multiple coins, all without ever touching your funds. We've invented a new hybrid approach to coin trading that presents you with the convenience of peer-to-peer trading coupled with the flexibility of a traditional exchange. Trade your cryptocurrency coins with your peers through our platform as a sole trader or as a business, in person or over the internet through our escrow system. A sleek user-friendly app and web platform, legal protection mechanisms for traders, advanced security model and powerful business-related features like fully themed trading storefronts and insightful analytics. Let's work together to revolutionize the way people trade coins and finally bring our favorite cryptocurrencies into the mainstream. As cryptocurrency enthusiasts we want to see the coins we use attain global recognition. This can only ever become a reality through the efforts of projects that work towards making crypto highly accessible and easy to use. We endeavor to remove the barriers to entry that crypto coin buyers have experienced first-hand by reducing the technical expertise required to trade. It's time that the cryptocurrency purchasing experience became seamless and enjoyable. You may have heard the terrifying accounts of people receiving prison sentences for trading cryptocurrencies on peer to peer exchanges. With Tetra, that is a thing of the past. Route your payments through our fully compliant banking network for a legally sound trading process. We're relieving traders of the burden of obtaining expensive licenses and adhering to cumbersome regulations in order to allow people to focus on what matters; their trades. Tetra provides you with tools to effectively grow your coin trading business. Business storefronts can be created at a Tetra subdomain or your custom domain to show your listings, advertise to your customers and develop your brand. Prospective clients now have a place to go for a customized trading experience with you in addition to providing visibility on the top search engines to generate inbound leads. The analytics dashboard provides you with insights into how your business is performing and where it needs improving, use this information to fine tune your listings and realize higher levels of profit. We have created a security model that is an evolution of the dated conventions employed by current exchanges. We use 2-of-2 and 2-of-3 P2SH multi-signature transactions, smart contracts & use of encryption to ensure you are the only person who has permission to access and transfer your funds. Even your chats with your clients are encrypted. Your private keys are all stored locally and synced across all of your devices over a one-time-password protected channel. Using this approach we can ensure even in the event of an attack against Tetra servers your funds remain totally unaffected. 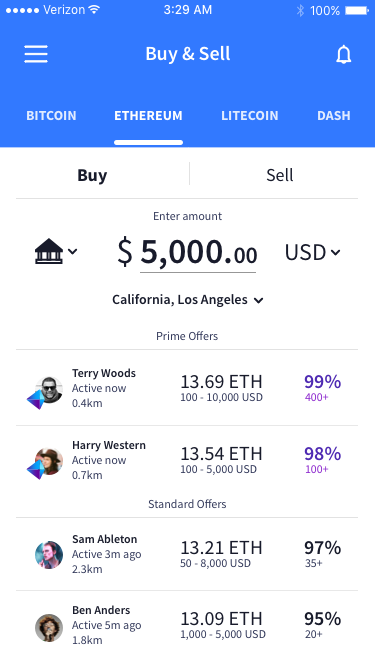 It's like having your own personal broker in your back pocket. Trade on the go and keep up to date with your orders with push notifications and alerts. Customize the look and feel of your profile and business storefront. Make your brand known and build up your trading empire. Automatically and securely sync your private keys across all of your devices. Use our optional Tetra Vault product for secure backups. Tetra supports all of the payment methods you've grown accustomed to. Bank wire, cash, Paypal, credit card and more. Configure your profile with your desired settings and Tetra will handle the rest for you. 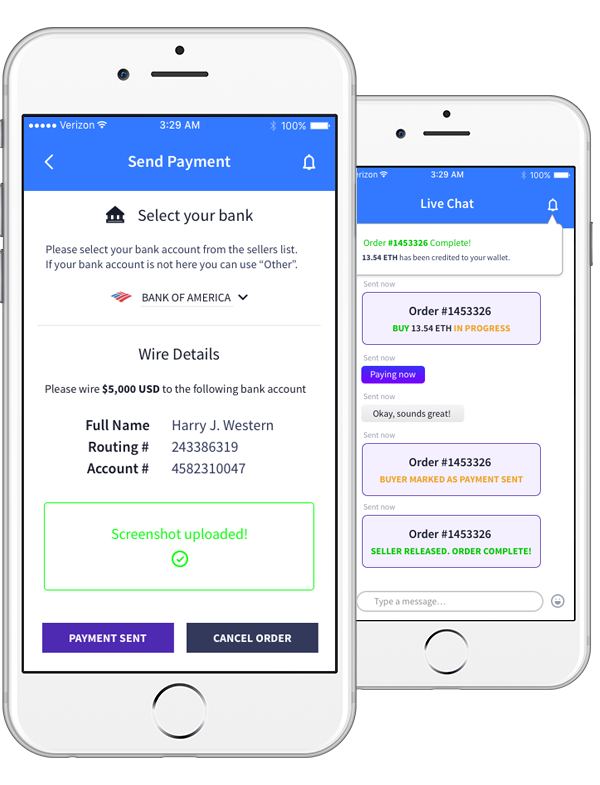 No need to tediously go back and forth with your customers explaining your payment methods and terms in every single trade you make, our system will present your buyers with the appropriate options derived from your settings. No more juggling multiple apps and communication technologies. We handle it all natively inside the Tetra app. 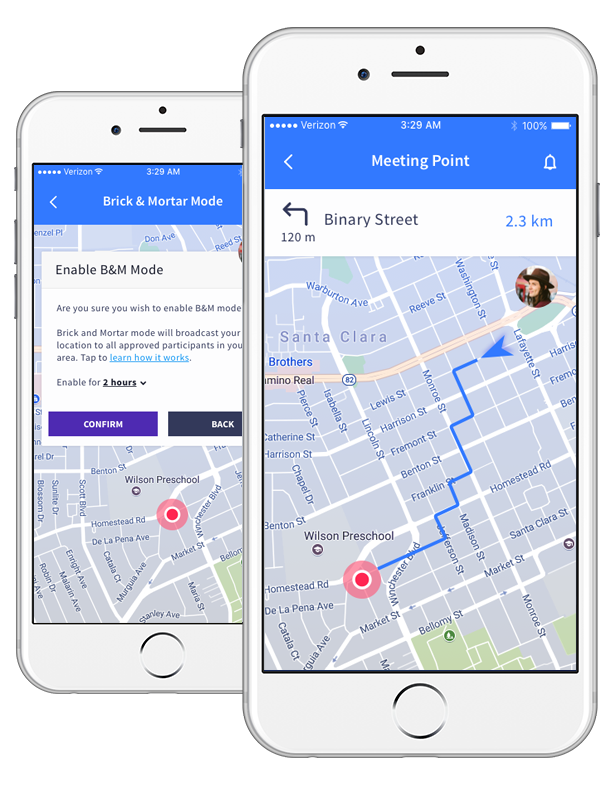 Our Brick & Mortar Mode allows you to securely broadcast your location to potential clients if you wish to operate at a fixed storefront like a real business. Have your customers come directly to you. Tetra's analytics dashboard allows you to finetune your advertisements and listings to ensure your titles, settings, trading terms and profile descriptions are satisfying the requirements of your customers and delivering you results. Tetra's intelligent trade matching engine will present you with ideal trading partners based on your profile configuration, trade history, location and trade requirements. Tetra helps eliminate decision paralysis by showing you what's relevant. Tetra's automated fraud detection system is designed to alert to anomalies in trading patterns that could be classified as fraud, allowing us to eliminate even the most calculating selective-scammers. Sign up to receive progress updates and an early access alpha invite when it becomes available. Tetra is a subsidiary of Volatile Technologies Inc.
© Volatile Technologies Inc. All rights reserved.